Peugeot 208 and Renault Clio new rival car has finally been presented. 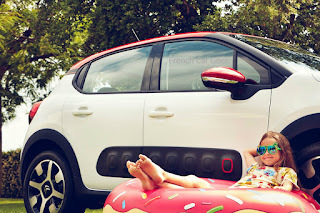 The new Citroen C3 III has similar style of C1 and C4 cactus. French journalist are very enthusiastic. Japan's version will be equipped with 1.2l 3 cylinder 110horse power turbo engine and Aisin 6 speed automatic gear box (New EAT6). Will it be a good rival to the Fiat 500 ?